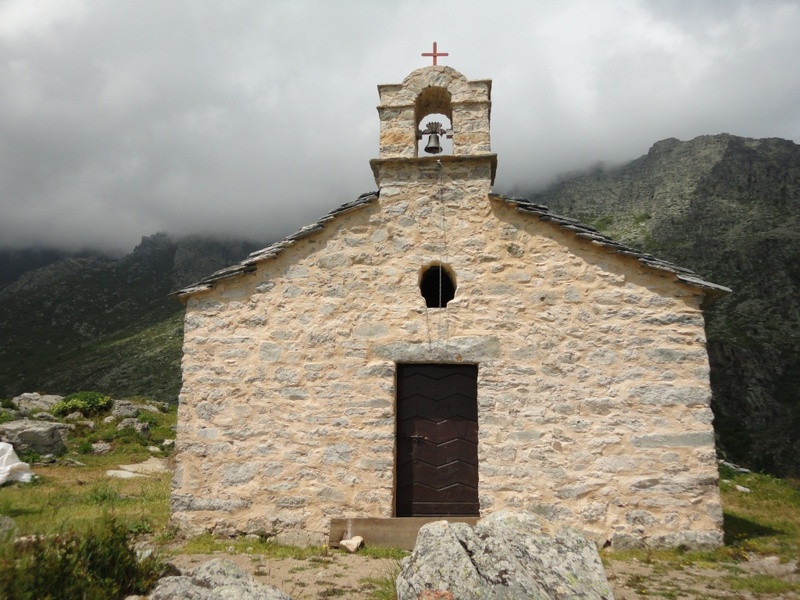 Religion in Corsica is just as important as in the rest of France – if not more so. You get the sense, though, that the Roman Catholic faith overlays deeper currents of belief, stretching back beyond the birth of Christianity. It’s more elemental, like Corsican music. There wasn’t a place in The House at Zaronza for the procession I’m about to describe. But one day, I hope to introduce it into one of my Corsica novels or short stories. We have never been on Corsica at Easter but we hear that the Good Friday procession (Catenacciu) at the atmospheric town of Sartène is worth seeing. U Catenacciu literally means ‘the carrier of chains’. Dorothy Carrington described it in graphic detail in her wonderful book Granite Island: A Portrait of Corsica. Processions take place in other towns but this is the most famous. Sartène could, with some justification, be described as the vendetta capital of Corsica. It somehow seems fitting, therefore, that this act of penitence takes place there every year. In past times, warring factions observed a truce throughout the ceremony. The procession is a re-enactment of the Calvary. A chief penitent is chosen from many applicants. Some people wait years to take on the role but only the parish priest knows their identity (no doubt a throwback to the old vendetta days). The chosen person is robed and hooded in scarlet and, his bare feet in chains, drags a large cross uphill through the streets. A procession of garbed penitents and the parish fraternity follows, with a bier on which reclines an effigy of Christ taken down from the cross. By tradition, the chief penitent must fall three times, as Christ did on the way to Golgotha. These people who go about their daily affairs with the solemnity due to a religious rite become boisterous, even aggressive…What they conveyed was…a release of violent primitive energy. Perhaps they are never so united as in this yearly procession: they become aware of their brotherhood only in their shared sense of guilt. Today, several thousand people squash into the narrow streets of Sartène to get a glimpse of u catenacciu. Now that it has become a tourist attraction, no doubt it has lost some of its elemental power and mystery. I’d still like to see it, though. The chapel of Saint Elisio at Saint-Pietro di Venaco. 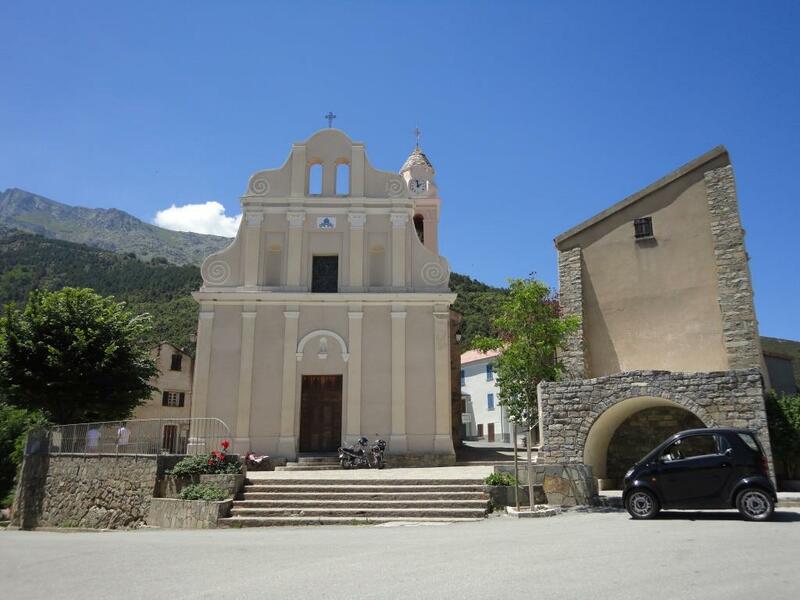 This entry was posted in Corsica, Fiction and tagged Calvary, Corsica, Corsican Easter procession, Corsican Easter traditions, Easter, fiction, historical fiction, Sartène, short stories, The House at Zaronza, U Catenacciu by nessafrance. Bookmark the permalink.